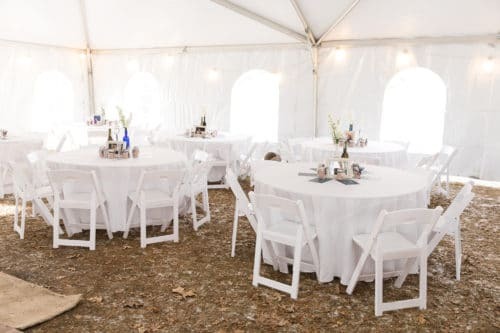 When we showed up to install this tent for our clients wedding, it was 4 degrees with winds up to 20mph… and snowing. Many would’ve had the same question: “who the heck gets married under a tent in the winter time?”. 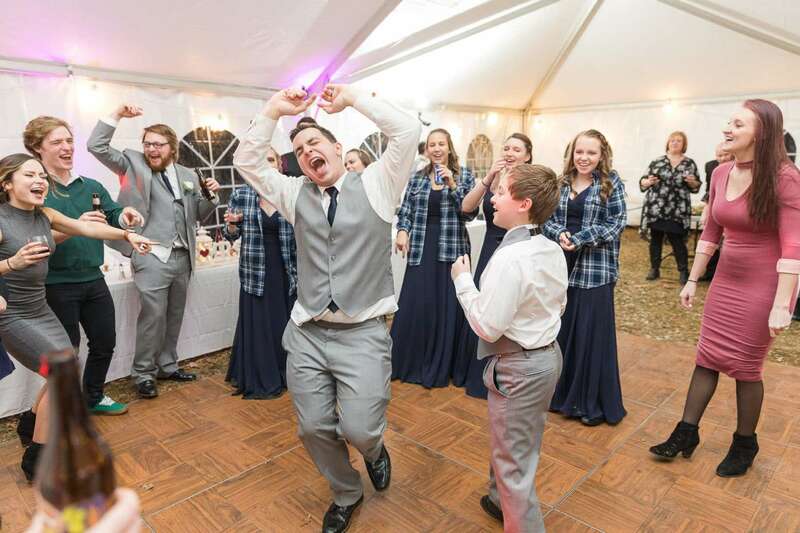 As crazy as it sounds, this wedding turned out absolutely gorgeous. Our tents are white and when you put that in the middle of a snowy scene, you get pure bliss. 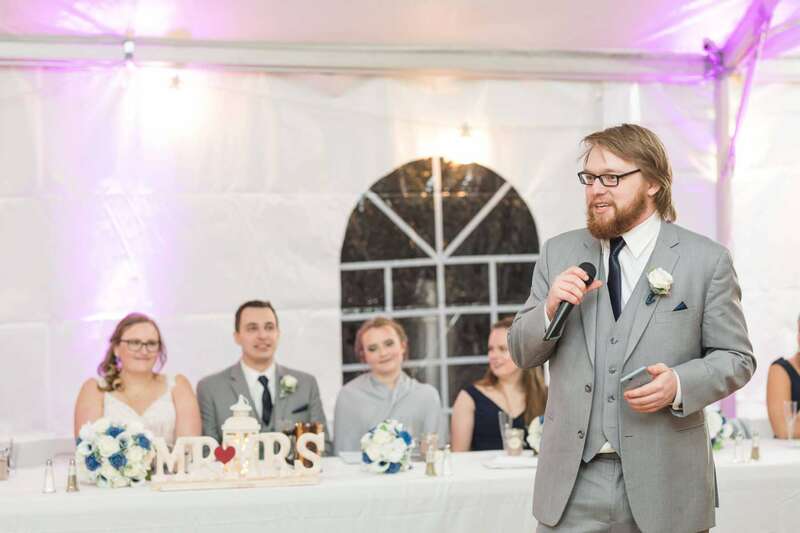 Before we go any further, these photos were captured by Sarah Wockenfuss Photography. Sarah is absolutely amazing and if you are in need of a wedding photographer, she is the one to talk to. We had this job circled on the books for roughly one year before the actual wedding date. All of our workers were thinking the same thing “why would anyone get married in the winter?”. 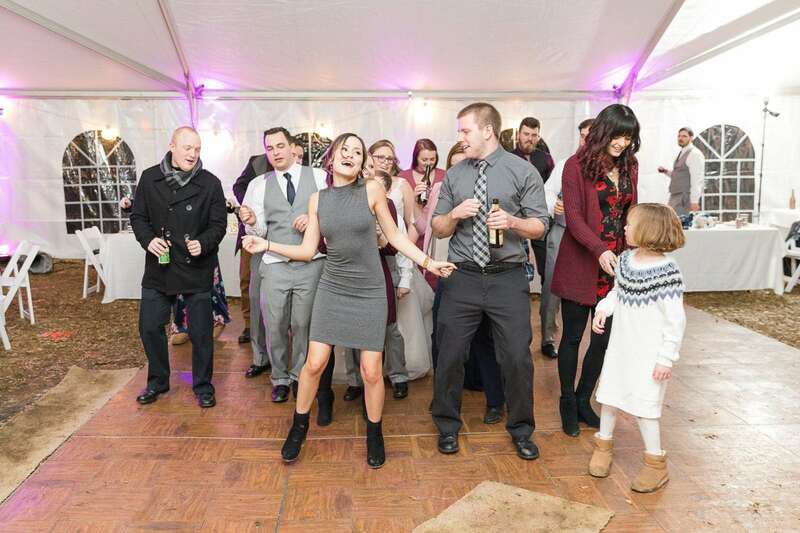 Well, let’s break it down on why it isn’t such a bad idea to have a winter wonderland wedding. 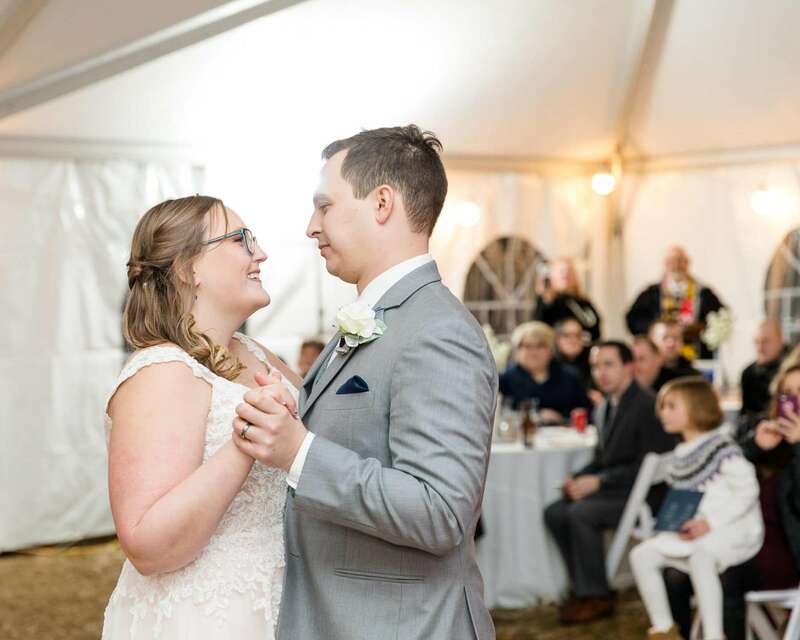 When you have a wedding in cold conditions, even in the late fall and early spring, you simply add sidewalls to enclose the tent which will keep all the cold air out. The best part about adding sidewalls to your tent is, you can choose how much you’d like to block off or keep open. If you’re expecting great weather then it’s perfect to keep the entire tent wide open. However, let’s say you are expecting light rain or you simply just don’t like the view outside of the tent on one side… You can add sidewalls to one side of the tent. Another great part to adding sidewalls is, they come in both solid and with windows. Our sidewalls with windows are extremely popular. In fact, many clients rent the sidewalls for the looks more than blocking out rain. We would have to agree, a tent with sidewalls is actually really gorgeous. Yes, you can heat tents. I don’t know if you knew that or not but anytime you’re planning an event in colder conditions, the simple solutions is to add heaters. Let me tell you this, when you add sidewalls AND heaters, I’m willing to bet you won’t even notice you’re outside anymore. Doing this makes your tent event very similar to an indoor event. The best part is, the heaters come with thermostats. Which means you can control the temperature you’d like to maintain under your tent. Tent heaters are the way to go and they’re the golden ticket to keeping your guests comfortable during your event. One of the biggest questions we get is, “what’s the difference between a frame tent and a pole tent?”. And unless you rent tents for a living, I can definitely see why you wouldn’t understand the differences. To sum it up; pole tents can only be installed on grass. They’re secured by ratchet tension which is not as strong as the frame structure. On the other hand, a frame tent is considered a temporary structure. It can be installed on any surface and is definitely the “better tent”. Especially since our frame tents are engineered they’re designed to be able to stand strong against wind. So if you’re deciding between which tent to go with, just know that you can’t go wrong with a frame tent. 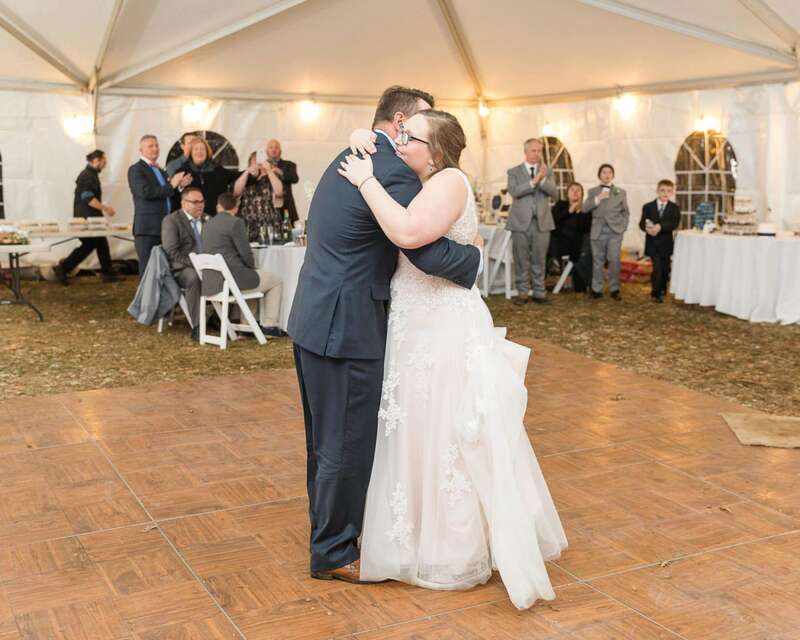 This wedding was secured under a frame tent and it looked gorgeous. Are You Considering A Tent Wedding?